(WGAw) from Dave Shelton on Vimeo. 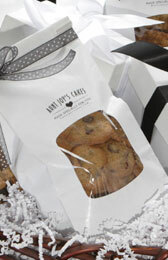 Aunt Joys Cakes is a family owned bakery out of Burbank, California. We specialize in homemade cakes, cheesecakes, cupcakes, cookies, bars, and chocolate covered strawberries. All of our desserts are made fresh to order and we use top quality ingredients, such as real butter and cream, Philidelphia cream cheese, all natural extracts, fresh fruit, juice and zest. We use the finest chocolates; Sees candy morsels, milk and white belgium chocolate. 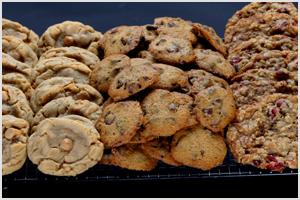 Everything is hand mixed and all our cookies are hand scooped. Our aim is to make everything “specially for you”! Please review our website and call us to place your order. Because all of our desserts are baked to order, please allow 24 hours. We will try our best to accommodate you with any last minute calls. Thank you for visiting Aunt Joys Cakes.